Over the last few years, trends in home size have fluctuated. As the economy continues to recover, many homeowners are considering whether to remodel and add more room to their current space, or find a move-in-ready home that suits their needs. “Most satisfied homeowners still said they would like more or larger closets and storage space. 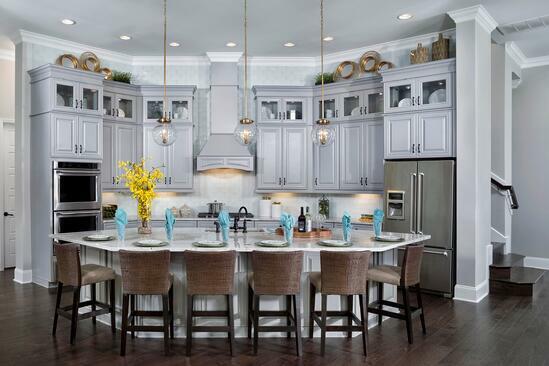 In addition, nearly half of recent buyers would prefer a larger kitchen, and two out of five would prefer a larger home overall,” said National Association of Realtors Vice President of Research Paul Bishop, in reference to a recent survey. Assess the market. If it’s a buyer’s market, you can take advantage of lower prices and interest rates. Just remember, if you’re selling your current home, you may need to lower your expectations on the asking price. If it’s a seller’s market, you may want to take your time and see if that is going to change any time soon before making a large home purchase. Determine how much space you need. Of course upsizing means more room, but there is such a thing as too much, when you factor in utilities to heat and cool it, as well as maintenance costs and the potential for increased taxes. Use moving as an excuse to downsize and declutter. This may seem like the opposite of what you want to do when purchasing a larger home with more space to fill, but if you don’t love the items in your home, why move them into the new one? Aside from the necessities, only move in what you love so you’ll have more of a clean slate to work with. Don’t fill your new home with new furniture right away. It may be tempting to rush out and quickly fill up your larger spaces with nice furnishings and decor. But what if you decide that guest bedroom would be better as a library after you’ve already furnished it? It’s best to live in the space for a few months to help solidify your vision before you start decorating. From larger yards that back up to lakes or preserves to community amenities that make life easier, today’s buyers have plenty of options when looking to upsize. The key is to have an idea of what you want, how much room you need and a crystal-clear grasp on your finances. 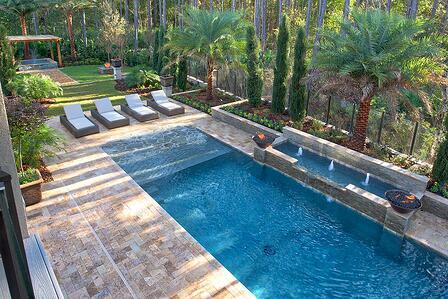 For information on modern luxury homes available in Nocatee, visit the Nocatee Welcome Center or call 1-800-NOCATEE. To see and take the "Ideal Nocatee Neighborhood Quiz," click HERE.